On a business trip to Negros Occidental, Philippines, an old friend offered to host us for a tour of some places near Bacolod City. 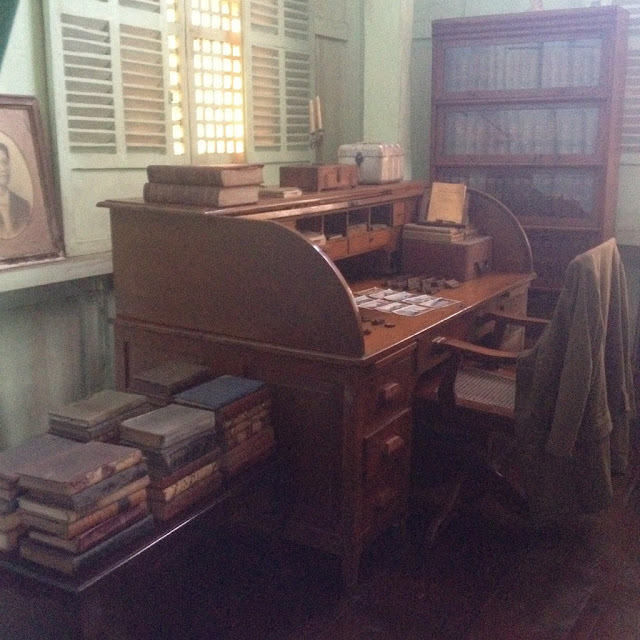 One of the places he took us to was an American colonial era house now converted into a heritage museum in Silay City. The Don Bernardino Jalandoni Ancestral House was completed in 1908. 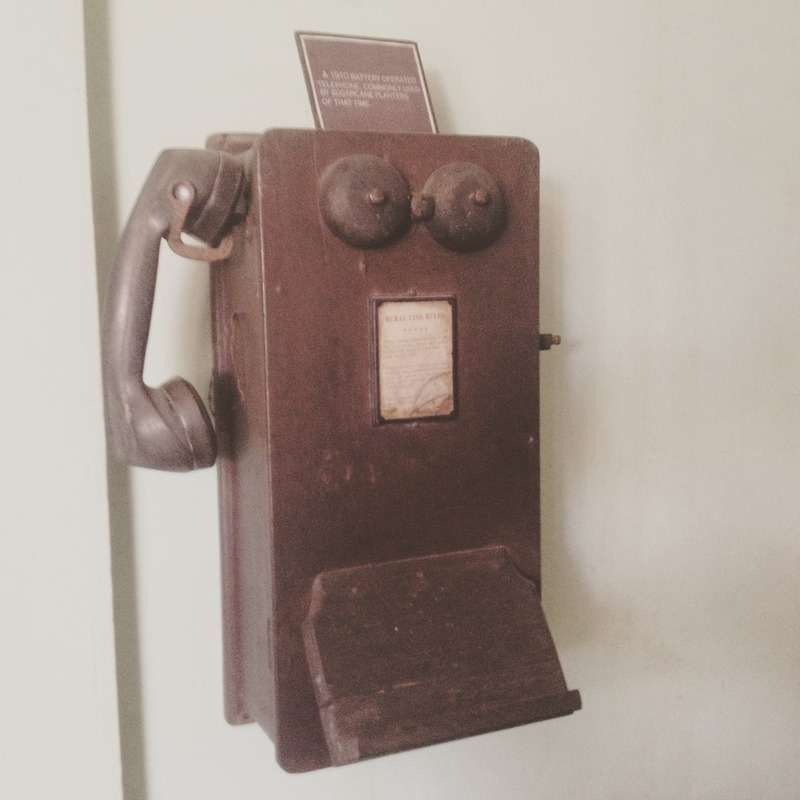 Entrance fee for visitors is at PhP 60. Students pay half the price. It is along Rizal Street. Rizal Street is the main thoroughfare that connects Silay City to other towns and cities in Negros Occidental. 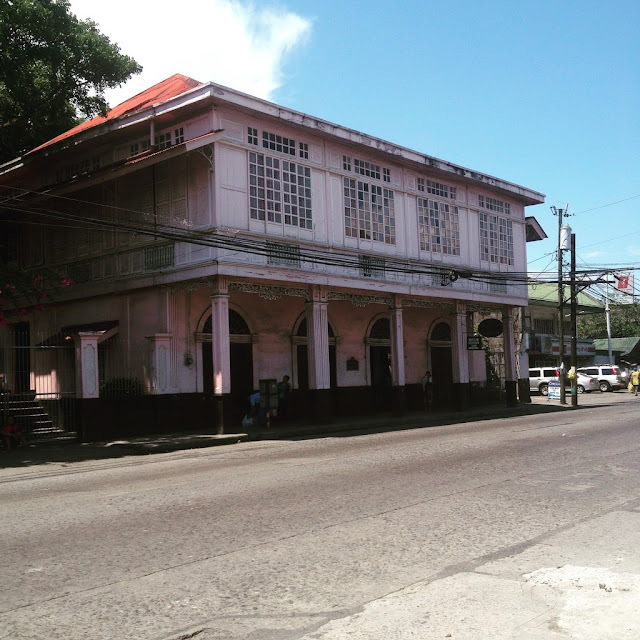 The location is within the Silay City Heritage Zone. 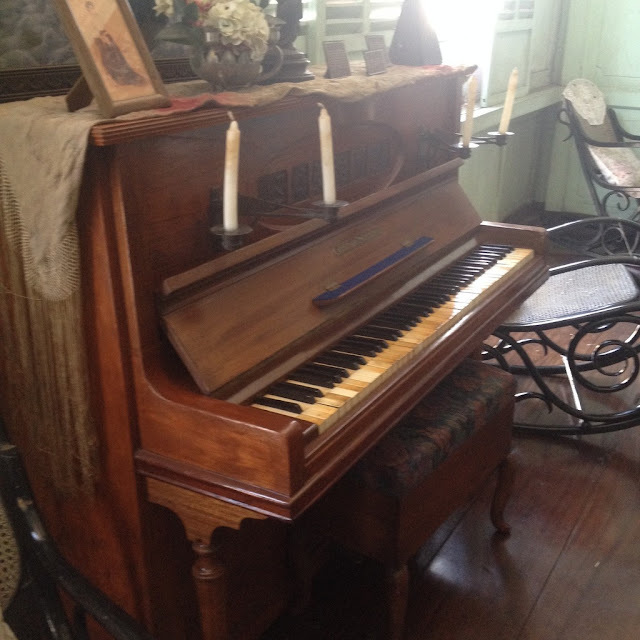 The house was built in the late 1890's or early 1900's. 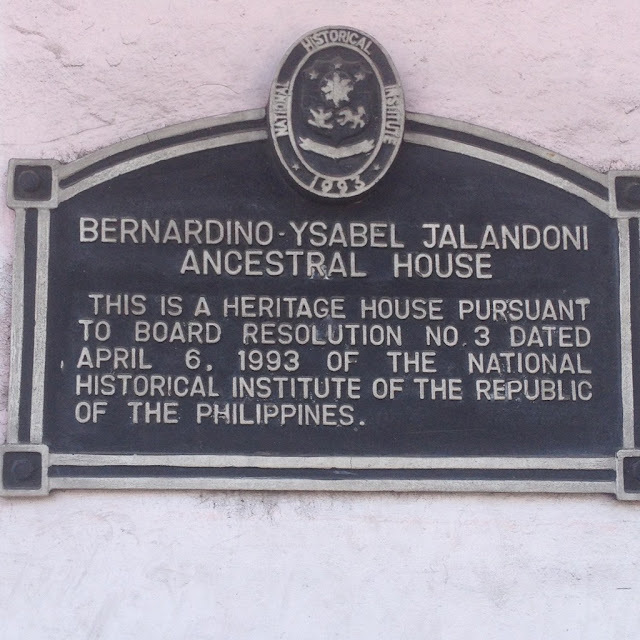 Don Bernardo-Ysabel Jalandoni Ancestral House is recognized as a heritage property by the National Historical Institute (NHI) of the Philippines since 1993. Because of it's fading pink hue, it is commonly referred to as the "Pink House". In the period when the Philippines was still a colony of the United States of America, wealthy families imported ice from America. 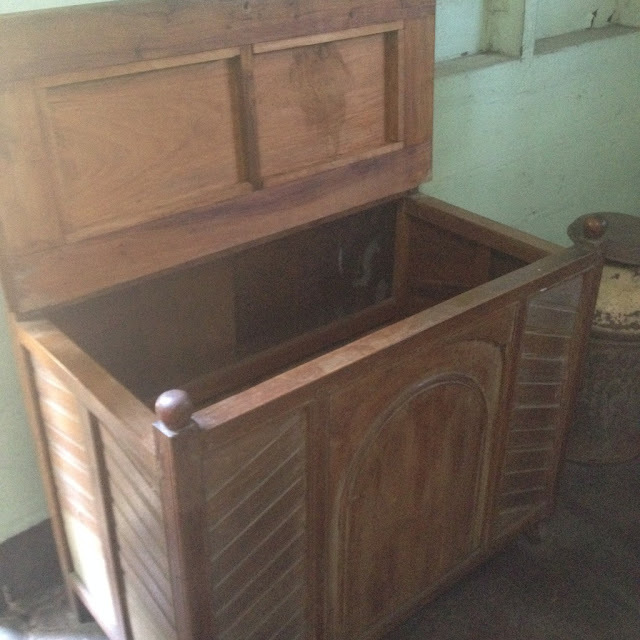 Imported ice is stored in an airtight wooden ice chest. I wonder how much imported ice cost back in the day. 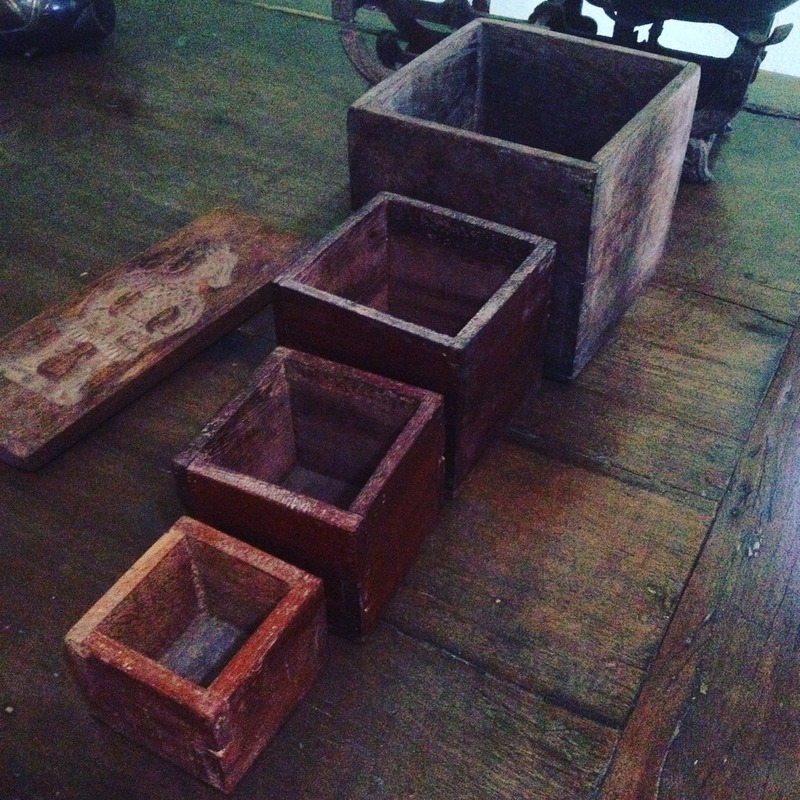 Filipinos have their own system of measuring food in the past: Leche, Salmon, Tercia, and Ganta. Leche is the equivaent of one can of milk. Salmon is the equivalent of a can of salmon or sardines and is a little more than leche. Bigger amounts are measured by either tercia or ganta. 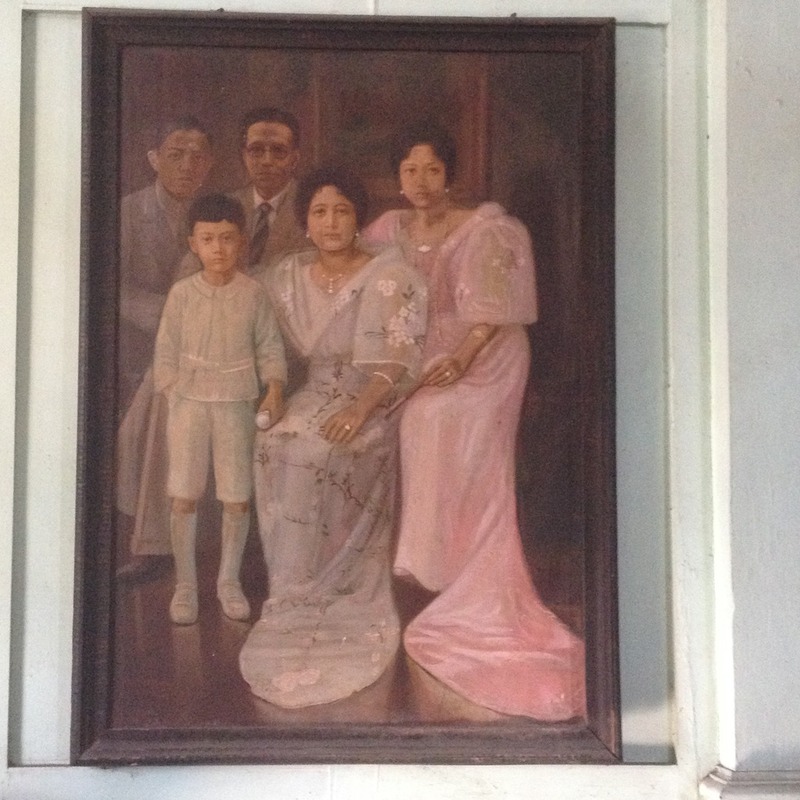 There are lots of solo portraits and family portraits displayed on the walls of the museum. There are several sculpture pieces on display at the pink house. 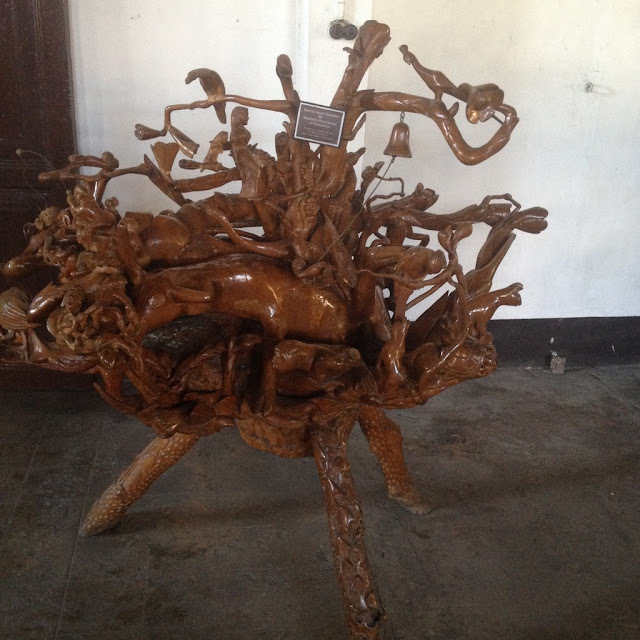 One that really caught my attention is a work of art made from santol wood. The museum caretaker explained that the woodcarved art piece was done by uprooting the whole base of the tree trunk including the roots before it was carved. The Jalandonis were music lovers. 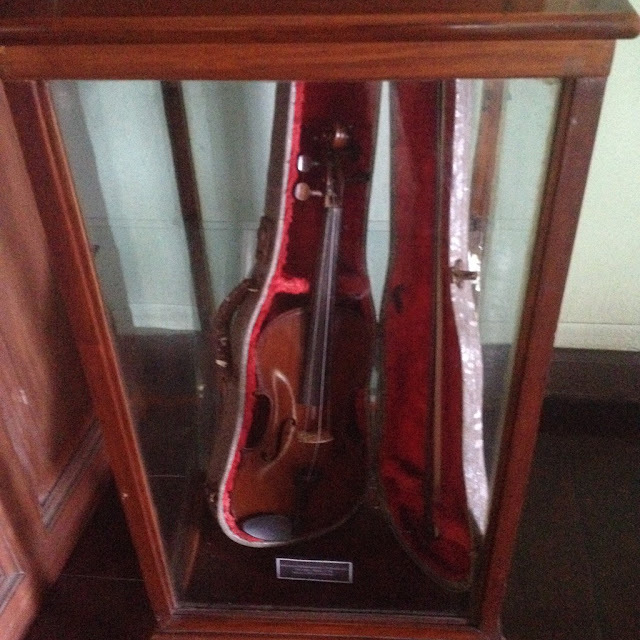 That is if the number of musical instruments they own were any indication. 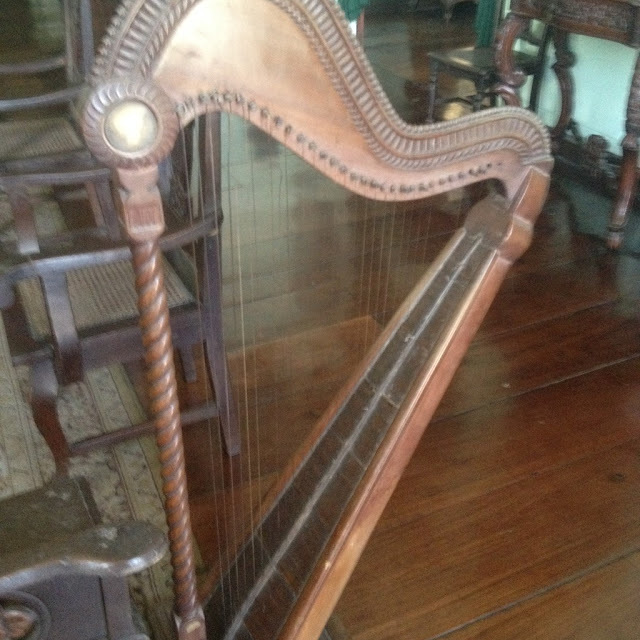 They had a piano, violin, and harp all imported from Germany. Of the trio, only the piano can be played. 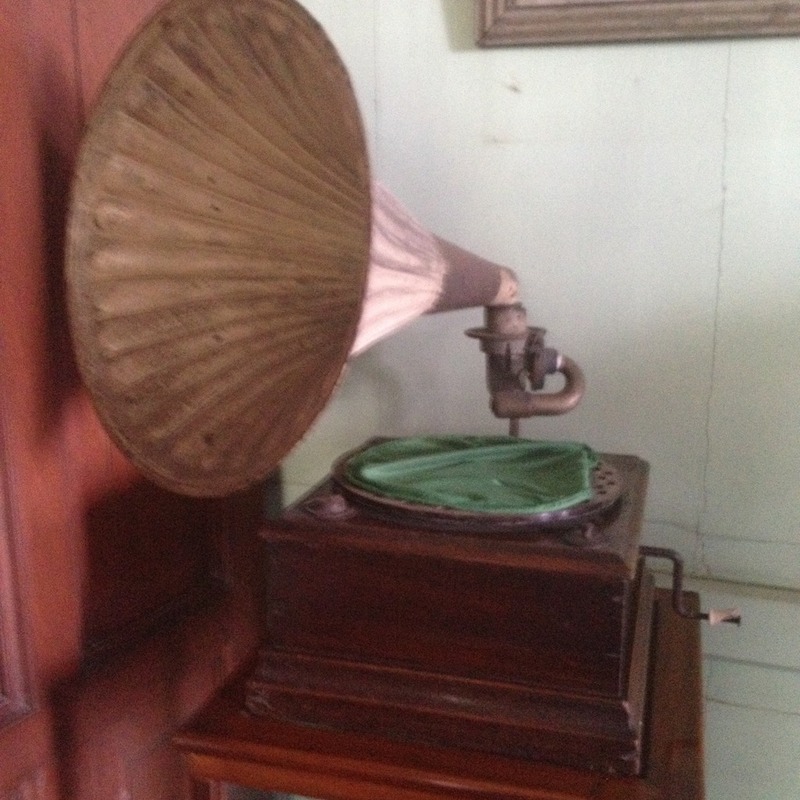 They also have a gramophone. The pink house also has a small collection of vintage hats and walking canes. 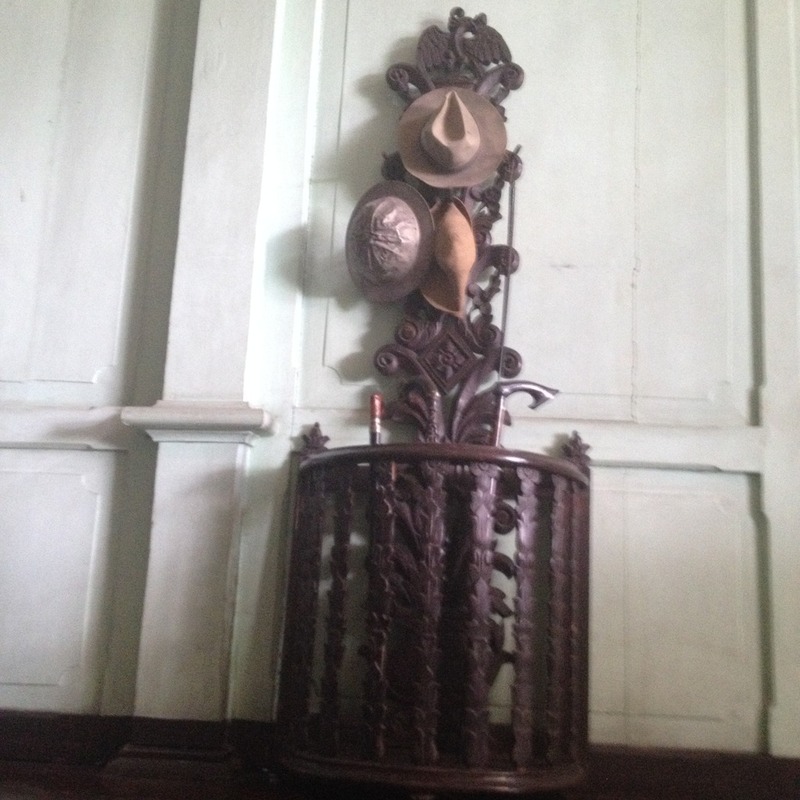 We tried on some of the hats but the docent did not allow us to touch the canes as they were in very delicate condition. The museum also has an interesting doll collection. 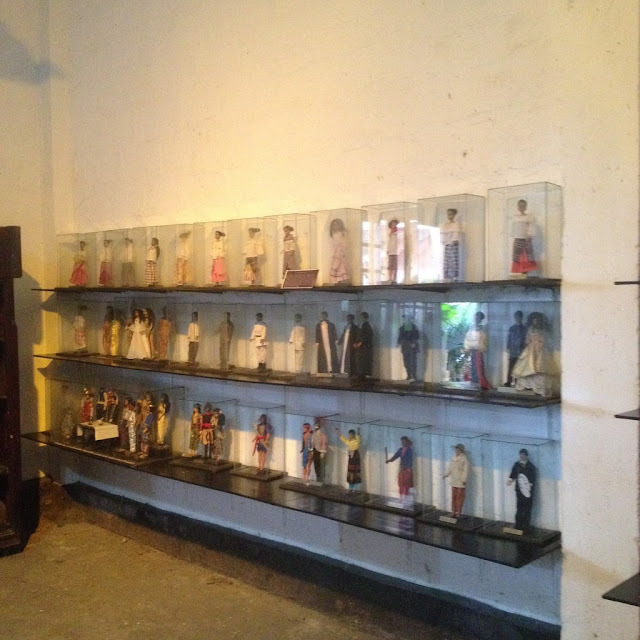 Many of the dolls are historical figures. There are a lot of old books at the house too. Sadly, these books are not in the best of conditions. It's better not to touch any when you visit. One of the displays that fascinated me most was an old switchboard telephone used by the sugar barons of Negros Occidental at the turn of the century.